My name is Mike, AKA The Gallifreyen Medic. My main interests are gaming, SciFi, and the Boston Red Sox. 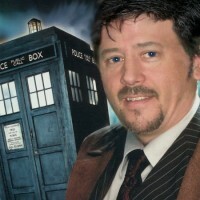 And, as you can see from my avatar, I'm a serous Doctor Who fan as well. I am seriously into gaming both on the PC and console. More about me..... I love to salt water fish out at Point Judith, ride horses, and go camping. I am new to internet marketing so don't be a stranger to follow me. The TARDS has now landed on the NET! Quark was a very short lived space parody TV sit-com that ran on NBC in 1978 created by Buck Henry, co-creator of the spy spoof Get Smart. Adam Quark is in command of a starship in The United Galaxy. He has a very important job! He must collect all the "Space Baggies" from the other starships. Yes, Adam Quark is in charge of the United Galaxy Sanitation Patrol. (IE: A garbage man) He longs to command a real starship. Although his task is simple, he and his crew seem to get into lots of trouble. Carl Yastrzemski, other wise known in New England as "Yaz", played with the Boston Red Sox from 1961 to 1983. He was to replace Ted Williams -- "The greatest hitter to ever play the game" in left field. Little did anyone know in 1961, that he would become a Red Sox legend. This is an overview of the newest in flight simulation software. Flight Pro Sim offers over 100 planes and helicopters, 20,000 different airports and landing strips, and simply the best 3D modeling ever created for todays computers. You can learn to really fly with this simulation software and even train to be a real pilot with it.